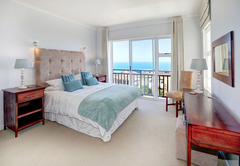 Valid 21-30 September 2019: Book and pay for 6 nights and get an additional night free (stay 7 nights). 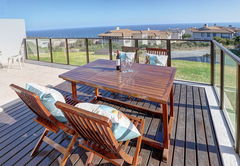 Pinnacle Point Golf Estate Fynbos 5 is a property providing self catering in Mossel Bay for up to 6 guests visiting the Garden Route region. 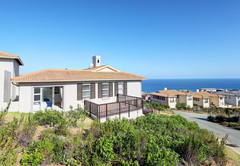 Pinnacle Point Golf Estate Fynbos 5 is situated on the Pinnacle Point Golf Estate in Mossel Bay and offers accommodation with views of the estate and the Indian Ocean. 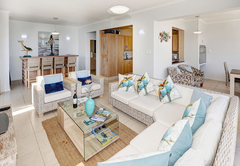 The Estate offers you a mix of tranquillity but also a variety of sport activities, relaxing Spa treatments, endless sea views from the Club House. 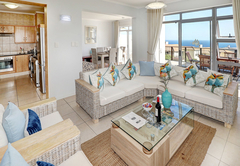 Pinnacle Point Golf Estate Fynbos 5 is a self catering holiday home with three bedrooms on the upper level, two of which have an en-suite bathroom. 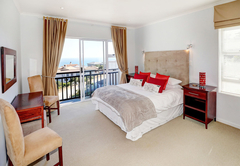 The two main bedrooms have Queen-size beds and the third bedroom has two single beds and a separate bathroom. 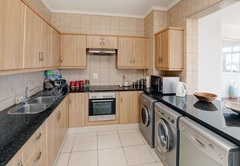 On the lower level there is an open plan living area, dining, bar, TV room with full DStv and a fully equipped kitchen. 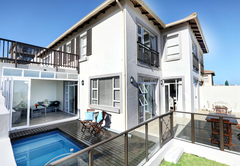 Doors from the living area open onto an enclosed patio / recreational area with comfortable outdoor furniture and a braai. 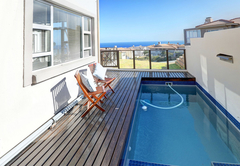 This area leads to a private swimming pool. 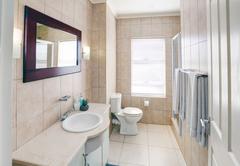 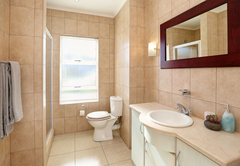 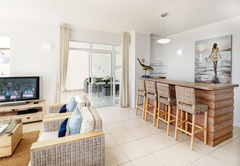 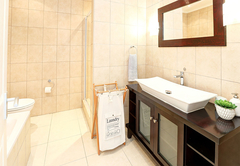 The property hosts three bedrooms, two with en-suite bathrooms. 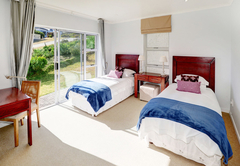 The two main bedrooms have a Queen-size bed each and the remaining bedroom has two single beds and a separate bathroom. 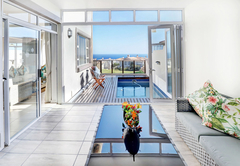 Doors from the living area open onto an enclosed patio / recreational area with comfortable outdoor furniture and a braai. 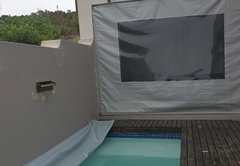 This area leads to a private swimming pool. 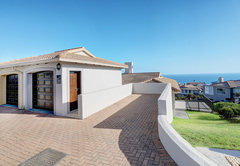 Response timePinnacle Point Golf Estate Fynbos 5 typically responds to requests in 5-10 minutes.